Discussion in 'Gear For Sale / Trade/ Wanted' started by crg123, Dec 28, 2014. 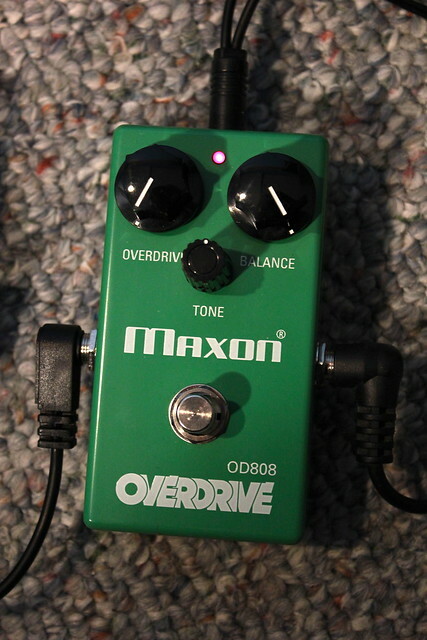 Brief & Accurate Description of gear/guitar: MXR89 Bass Overdrive pedal with box and manuals. Pedals in great condition, works great and barely used. I got this in a trade and the previous owner had the corner repaired due to it somehow getting cracked. This does not affect it in the slightest besides aesthetically on a part you'll never see haha. I like this pedal a lot but I got a great deal on a Darkglass B7k so I no longer need it. Modifications (if any): Casing cracked but was fully repaired by the previous owner&#8217;s tech. Doesn't affect the pedal at all and isn't really noticeable. International OK? : Only Continental U.S.
5 Watts but LOUD when cranked. Perfect for bedroom levels though. 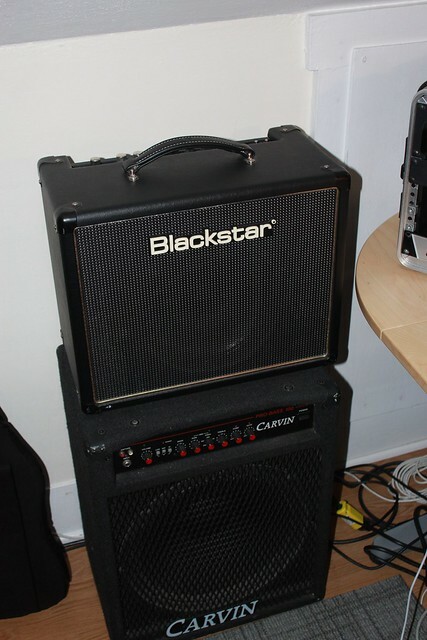 Classic - G10N-40 - Celestion - Guitar, Bass & Pro Audio Speakers Sounds worlds better then the Blackbird speaker they used later on. Tube&#8217;s: Stock Power with a upgraded Tung Sol AX7 preamp tube (instead of the terrible Chinese stock AX7). This mod really opened up the sound amp to get rid of the blanket over the amp effect. Condition: Amp is around 4 years old but in Great condition with only a few corner scuffs. Never gig&#8217;d. I can send more pictures if interested. Asking Price is $350 OBO. Local Pickup only. Asking Price is $150 OBO. Local Pickup only. Pedal has a bunch of surface scratching to the front but the back and sides are in great condition (pictures provided upon request), The scratches aren't that noticeable when the pedal is on due to the LED lights anyway but should be noted before purchase. It's in perfect working order. I've included a description of the pedal below since it's a pretty unique device. Description of what it does. PM me any questions you may have the two amps I would prefer to keep local, in particular the Carvin since it weighs so much. Any clips of the bass drive around? I'm thinking about grabbing a bass drive/distortion pedal for my bassist for his birthday in a few weeks. Bump. Happy new year everyone! Remember everything is OBO and I'll listen to creative ideas. 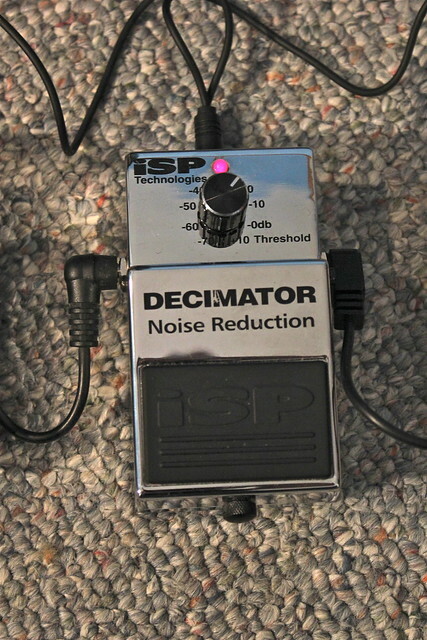 Trade pending on ISP Decimator! Bump for the rest of the lot. Correction: Decimator = Gone. Thanks for the trade Adam! Bump! I have a Carl Martin XII Chorus coming my way so I'm in a good mood. Make me some offers for these other pedals listed, remember its all OBO. The rest of the prices are the same. Looking for Axe FX accessories like Mission Control pedals, channel switchers, floor boards, etc. PM me and we can try and work something out. The rest are the same. Ns-2 pending. 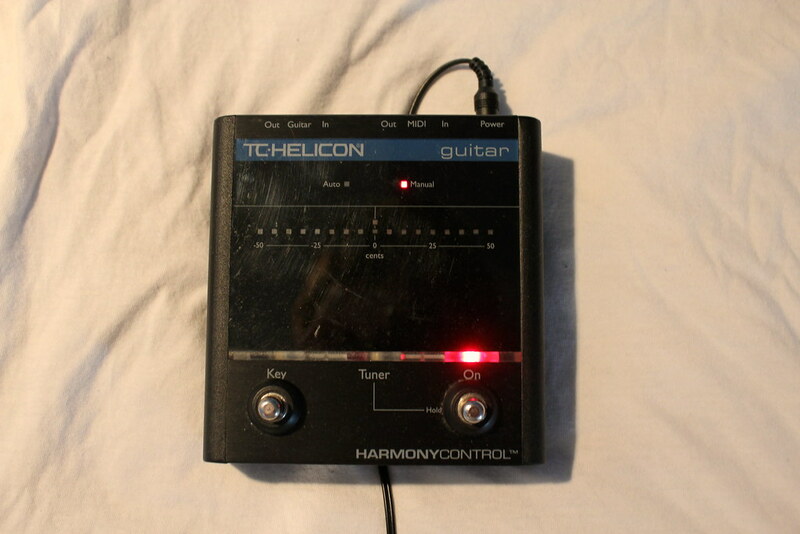 Harmony control is sold. Interested in trading the maxon for an 81 85 set? No thanks I don't have any Active equipped guitars. Thanks for the offer though! 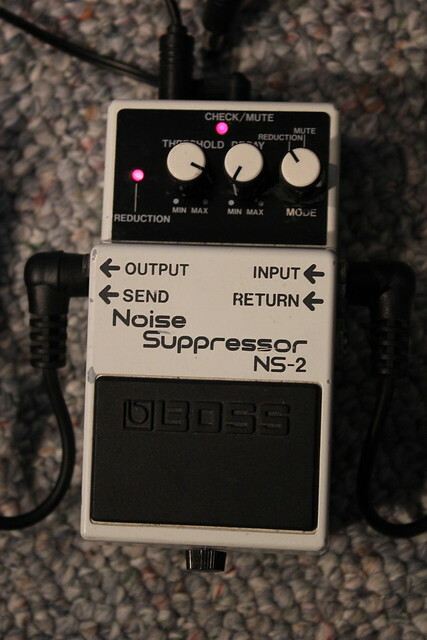 Ns-2 is gone! Any takers to the Maxon or the Rocktron? Or local people for either amp? edit: Ignore this thread and check out the one with the Keeley C4 compressor added and the maxon sold.